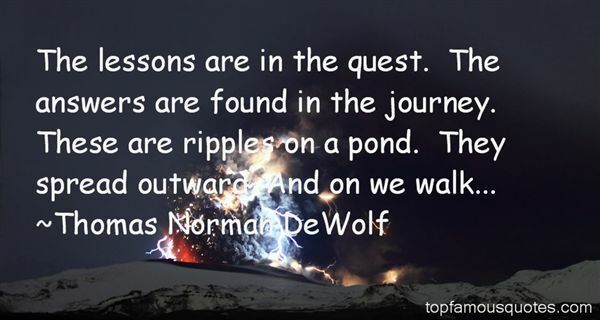 Reading and share top 1 Thomas Norman DeWolf famous quotes and sayings. Browse top 1 most favorite famous quotes and sayings by Thomas Norman DeWolf. This is just the way life is – sometimes cruel, sometimes beautiful, all the time confusing and frightening and exhilarating – and we just have to deal with it. That'swhat freedom is."